Elsa Beskow was a Swedish author and illustrator whose books were published in the early half of the 20th century. Her books have been discovered by different generations, and many of her titles have been reissued within the last few years. Perhaps you have seen her titles in catalogs and wondered whether her books would be right for your child. Her illustrations and simple stories are the allure in many of her books. Pelle’s New Suit, Peter’s Old House, Hat Cottage, and Emily and Daisy are all shorter books with just a little conflict. 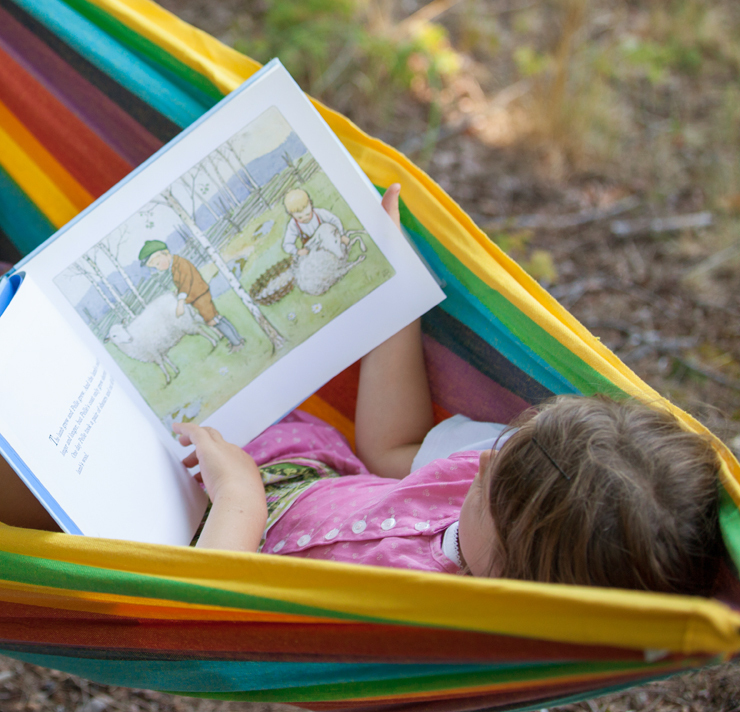 These are the five to ten minute reads you might be looking for before bed that will leave pleasant, not saccharine, images in your child’s head. The challenges faced by the characters in these shorter books tend to be a bit simpler and the characters are mostly kind with small touches of danger that keep the stories interesting. These are the sorts of stories you will not cringe away from when your child shows up with them once again. 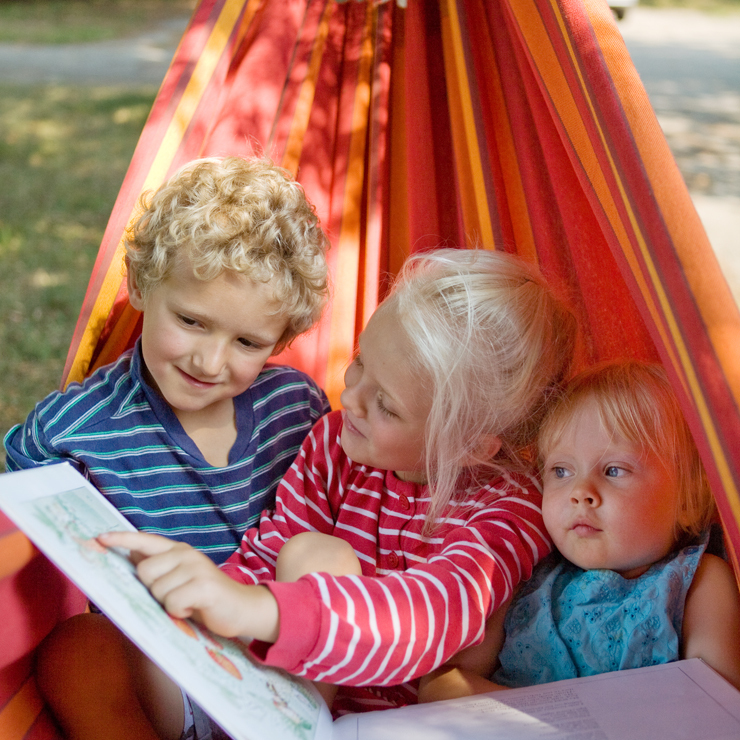 The stories about Peter and Lotta, like Aunt Green, Aunt Brown, and Aunt Lavender or Uncle Blue’s New Boat, are longer, and might be more appealing once your child likes a nice twenty-minute story time. The cast of characters continuing across multiple books seems to have great appeal for many readers; it is always nice to see what happened after the end of a book, and these stories give you and your child a sense that everything will turn out fine for these orphaned children. You can also get a feeling for a different time and culture, like in Peter and Lotta’s Christmas. Elsa Beskow wrote a range of other books addressing the passage of time in a child-friendly way. The illustrations and poetry of Around the Year offer an introduction to the steady turn of the year; children can easily identify or contrast their year with the children in book, as Beskow seemed to capture moments that children can relate to. For another overview of the year, there is also Children of the Forest. The magic, yet realistic, world Beskow created leaves children watching for forest children or other sprites in all sorts of places. Christopher’s Harvest Time, Ollie’s Ski Trip, and The Flowers’ Festival are focused on specific seasons. These are each also longer storybooks with illustrations that draw in child and adult. They again have a bit of magic in them that might speak to the heart of your child; Elsa Beskow seemed to know that so much in the world can be magical when we’re young. We are so blessed to have the entire collection of Elsa Beskow books and my children (ages 9 and 13) still return to them over and over. Aside from being wonderfully illustrated and engaging, they offer a sense of calm that is lost in so much of today’s literature for children (and adults).